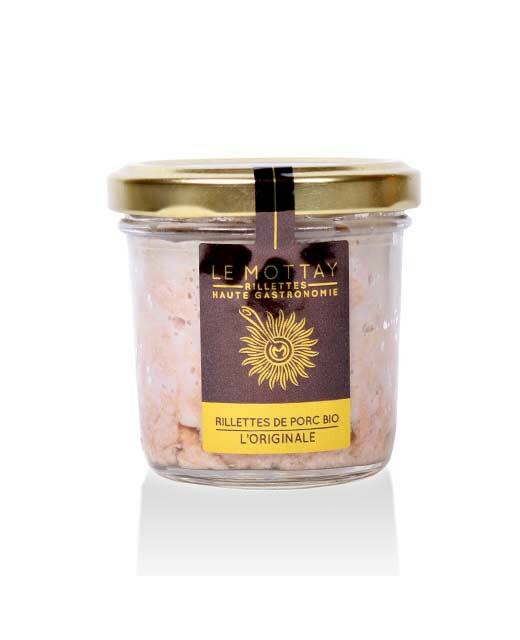 A recipe for rillettes with dried tomatoes for the Southern flavours lovers. 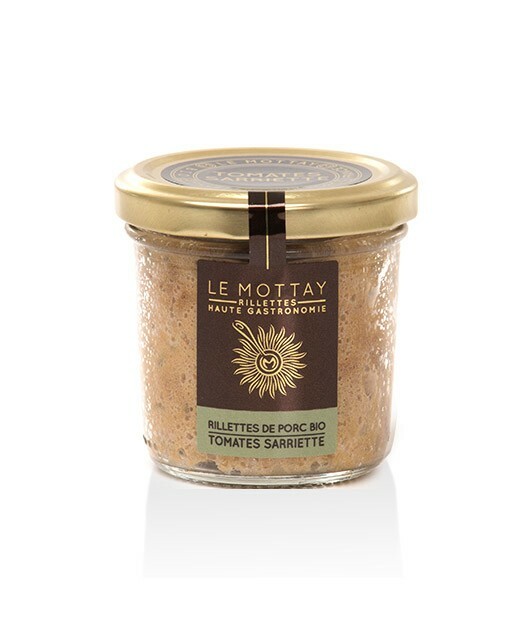 These rillettes have an authentic taste, enhanced by the sarriette which goes well with tomatoes. 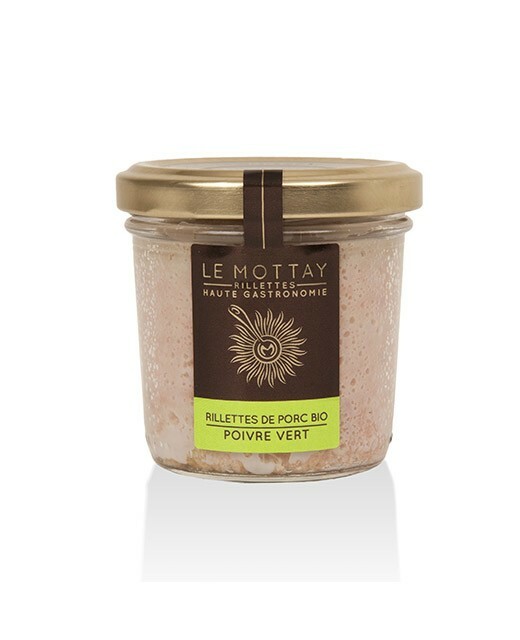 Pork 93.3% * 5% dried tomatoes, savory 0.5%, sea salt, white pepper *. 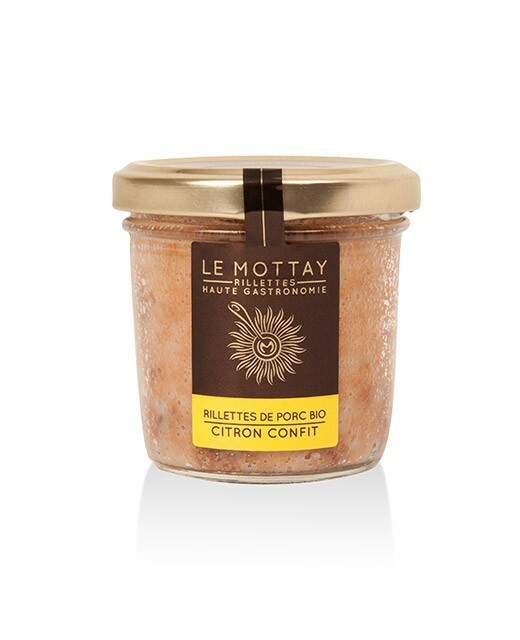 * Ingredients from organic farming. 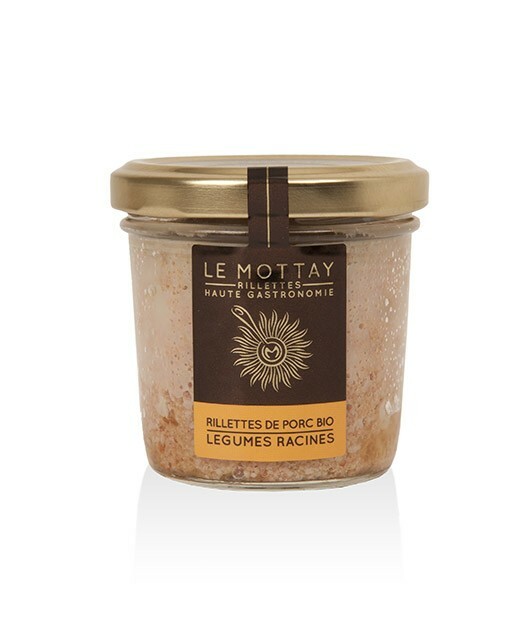 rillettes, organic dried tomatoes, savory, delicious Mottay. 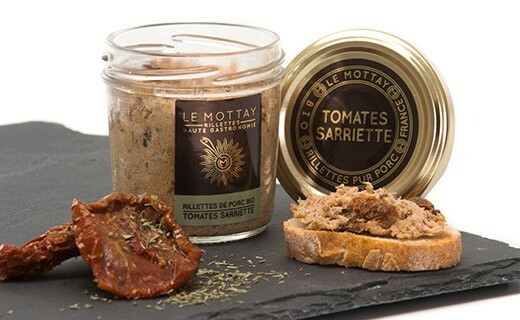 rillettes, bio, tomates séchées, sarriette, le mottay gourmand.